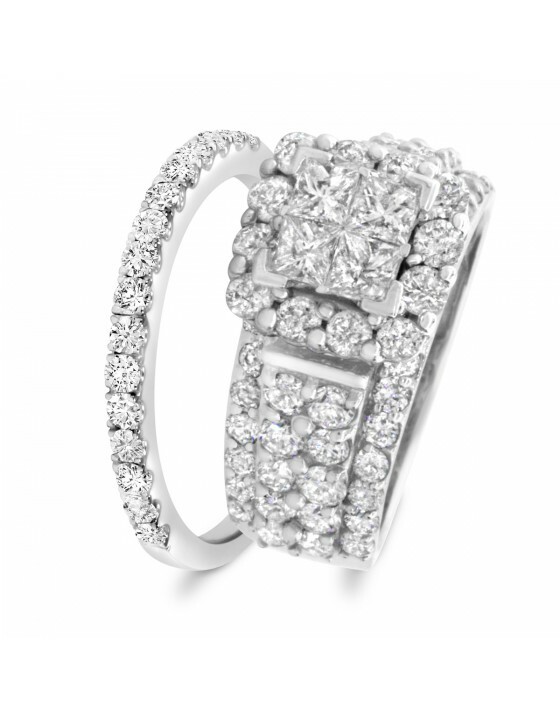 Express the happiness of finding your perfect partner with this Felicity Collection. 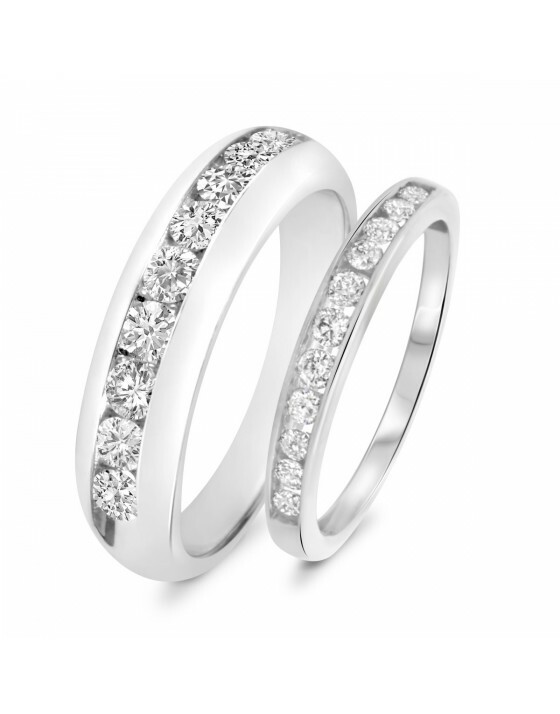 This couples wedding rings set features a highly visible look filled with sparkling white diamonds against the complementing shade of 14K White gold. 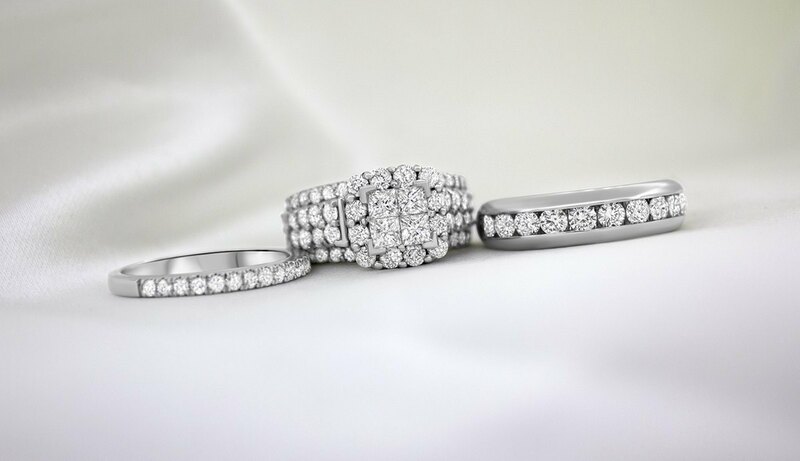 This one collection includes three real diamonds and gold rings, providing you with matching rings for the engagement and the wedding. 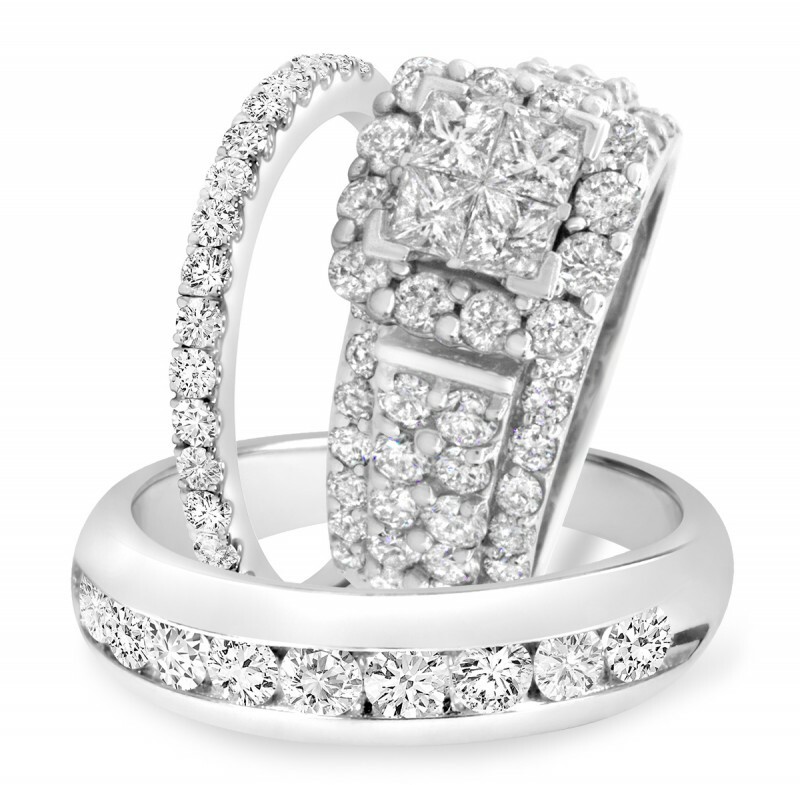 This set has a standout style ideal for a contemporary couple with a lavish sense of style. 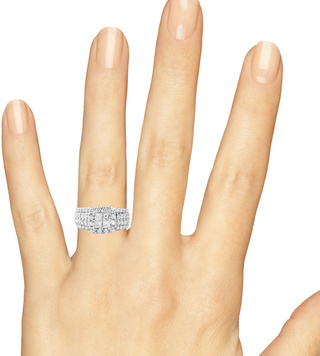 This dazzling diamond engagement ring will help you make a memorable proposal or act as the perfect way to commemorate the occasion. 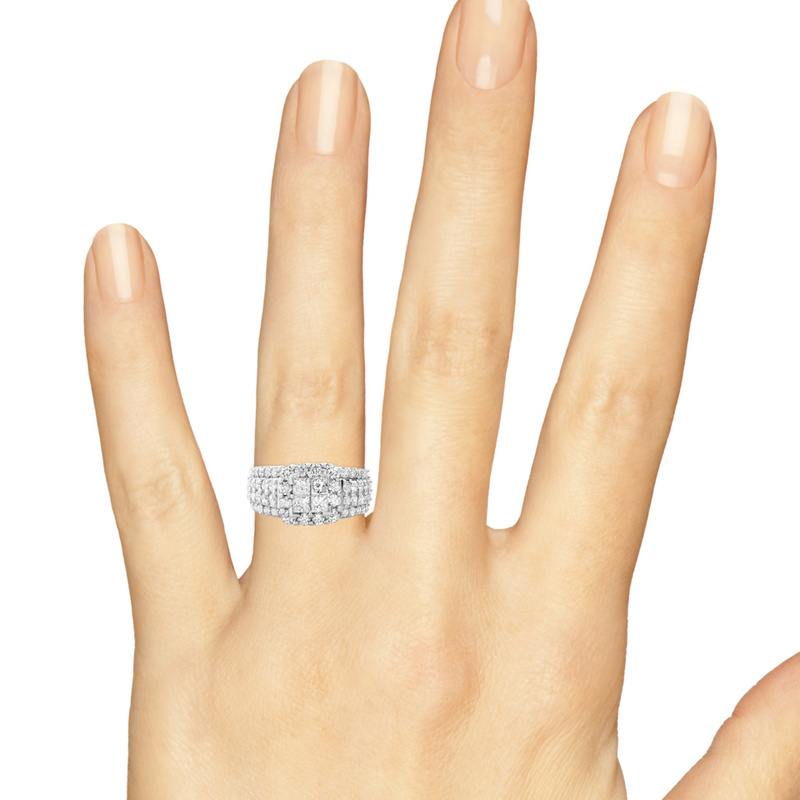 This luxurious 3-carat proposal ring stuns with a mixture of 68 round and princess cut diamonds, which completely fill the square halo center setting and the wide 14K White gold band. 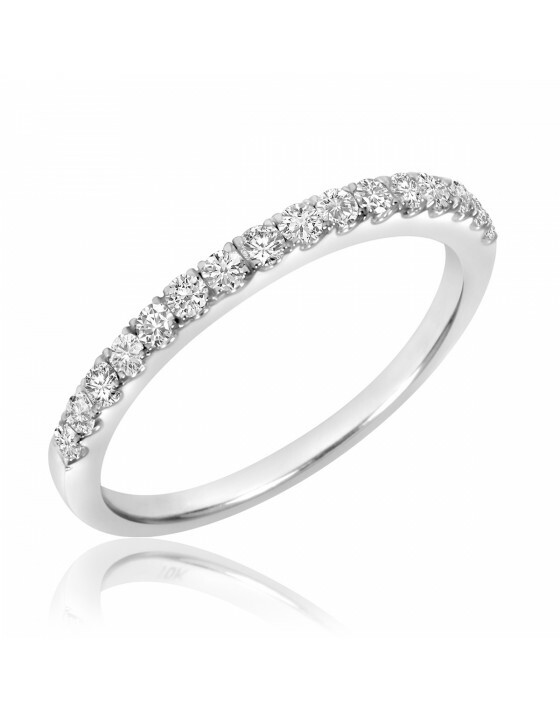 The women's band is stunning in its own right with its shimmering row of 16 round diamonds across the top. 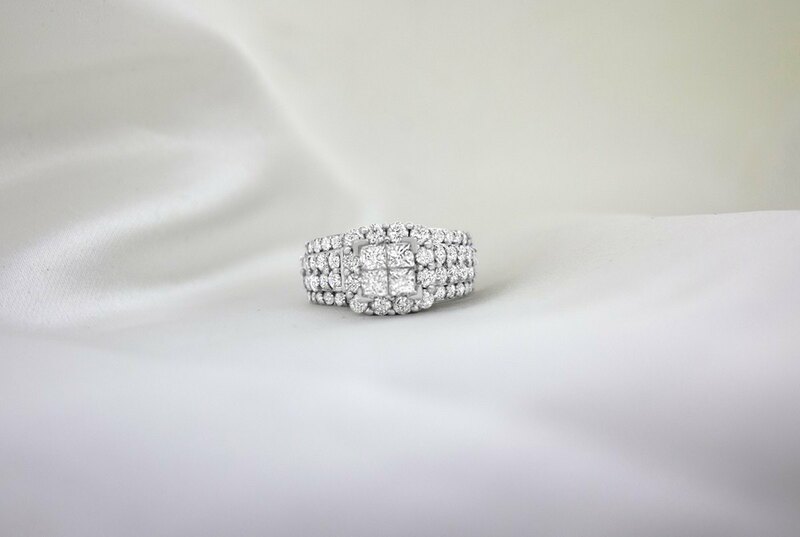 The diamonds are in a prong, side-stone setting that puts the entire focus on them, with only a small amount of the thin 14K White gold band shining through. 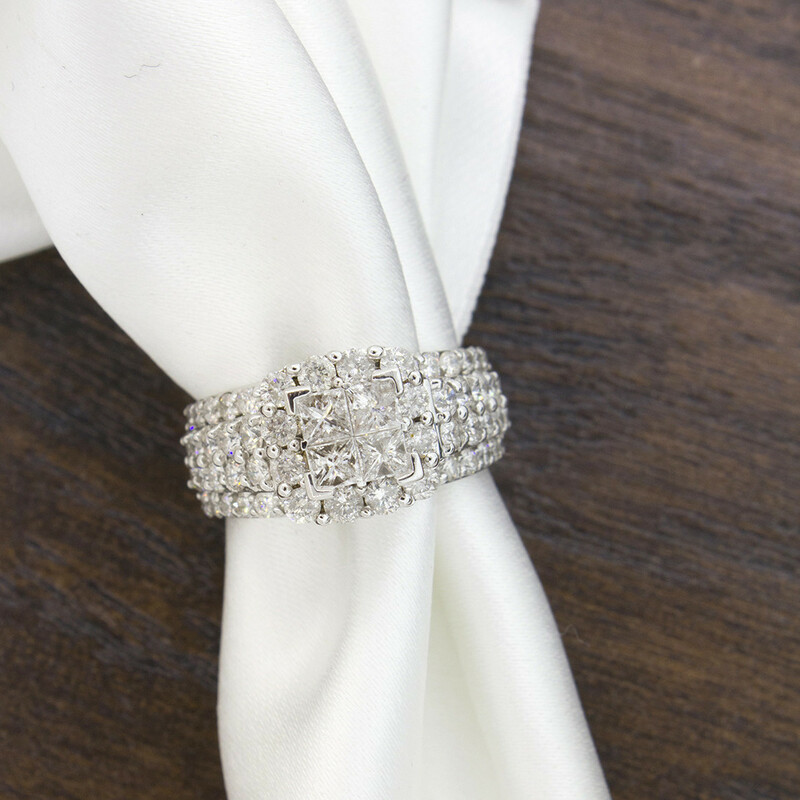 This band matches perfectly with the engagement band of the bridal set, enhancing its glamor. This 1 Carat T.W. 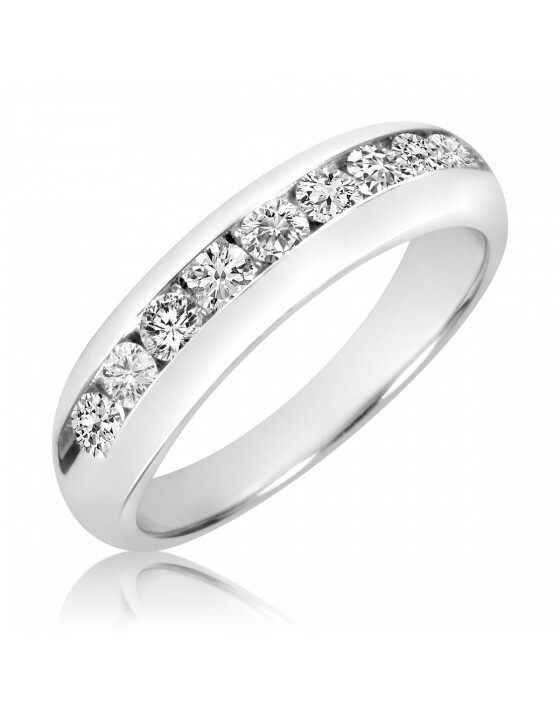 Diamond Men's Wedding Band is made in 14K White Gold and has 10 Round cut natural, conflict free diamonds.